Racegoer Viv Jenna poses for the media ahead of Ladies Day of the 2019 Cheltenham Festival at Cheltenham Racecourse, England. 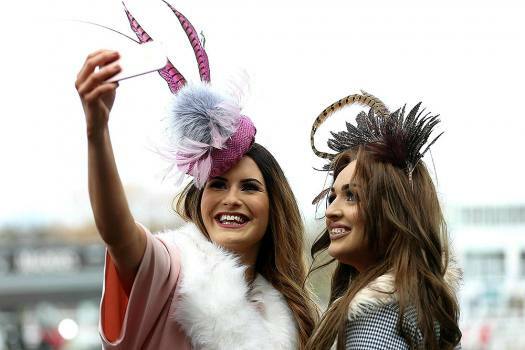 Racegoers Amy Brown, left, and Jessica Carpenter pose for the media ahead of Ladies Day of the 2019 Cheltenham Festival at Cheltenham Racecourse, England. 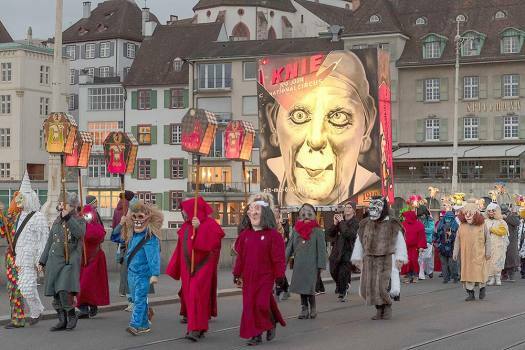 Carnival revellers wearing lanterns during the 'Morgestraich' parade through the streets of Basel, Switzerland. 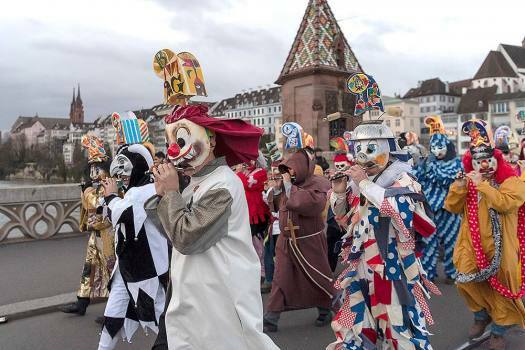 Carnival revellers wearing lanterns and playing music during the 'Morgestraich' parade through the streets of Basel, Switzerland. 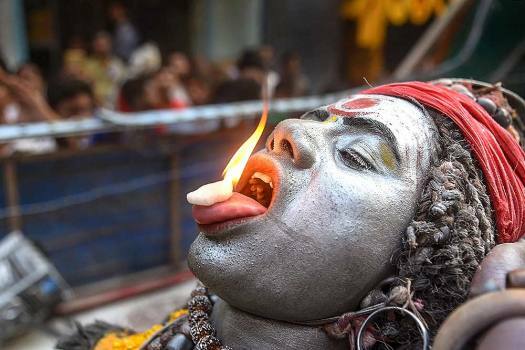 A devotee places a burning camphor on his tongue as he participates in a Shiv Baraat procession on the occasion of 'Maha Shivratari' festival, in Allahabad. 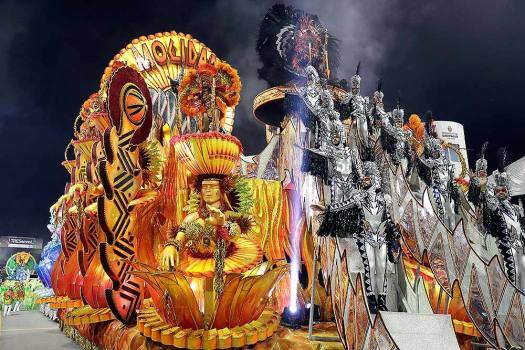 Dancers from the Dragoes da Real samba school perform on a float during a Carnival parade in Sao Paulo, Brazil. 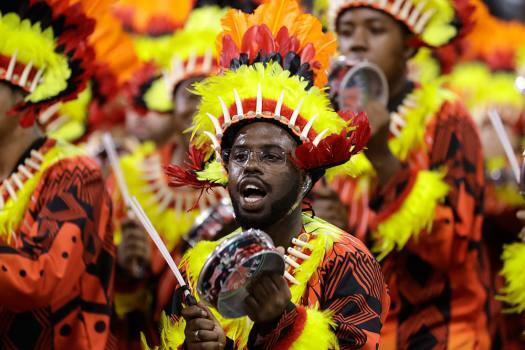 A dancer from the Mocidade Alegre samba school performs during a Carnival parade in Sao Paulo, Brazil. 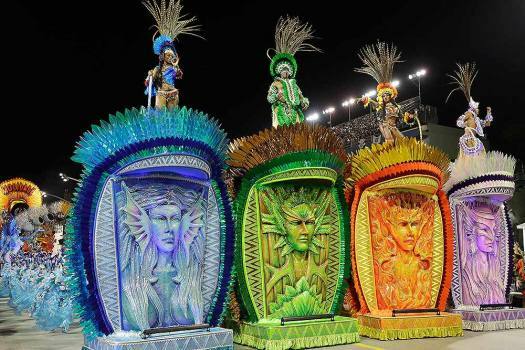 Dancers from the Vai-Vai samba school perform during a carnival parade in Sao Paulo, Brazil. 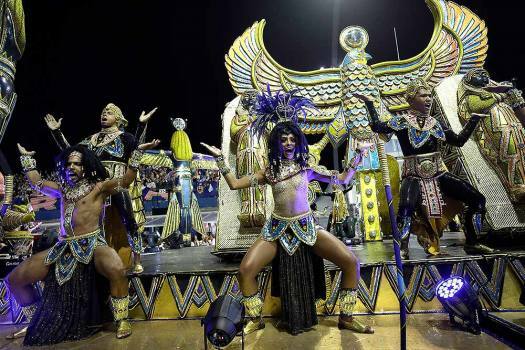 Dancers from the Aguia de Ouro samba school perform during a Carnival parade in Sao Paulo, Brazil. 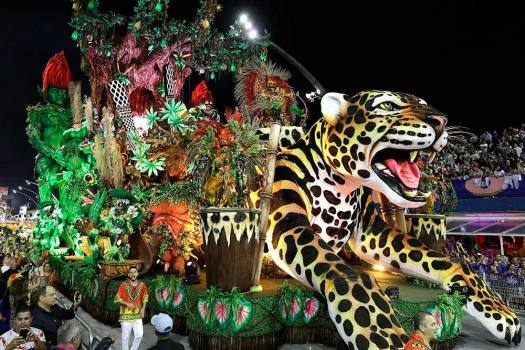 Dancers from the Vai-Vai samba school perform on a float during a carnival parade in Sao Paulo, Brazil. 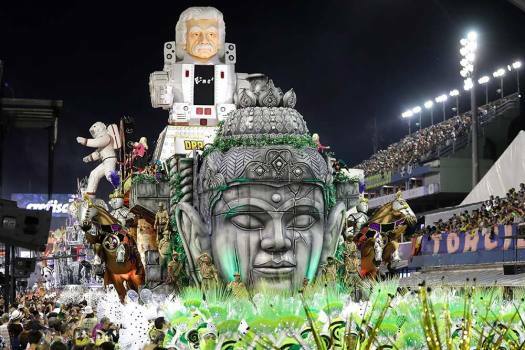 A dancer from the Vai-Vai samba school performs during a carnival parade in Sao Paulo, Brazil. 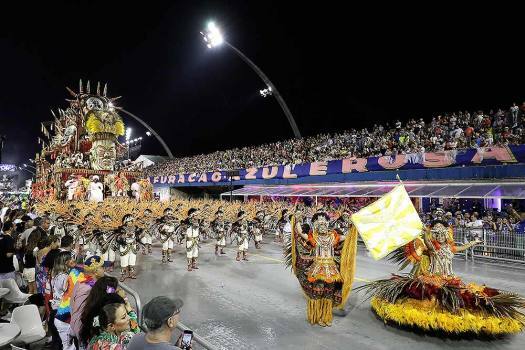 Drummers from the Mocidade Alegre samba school perform during a Carnival parade in Sao Paulo, Brazil. 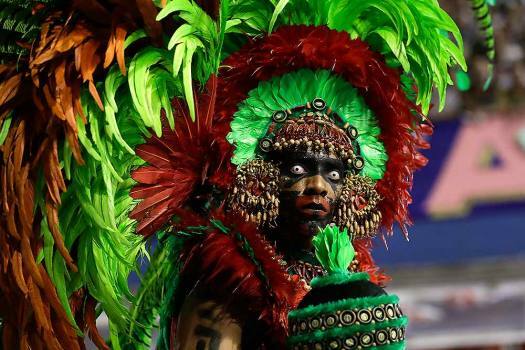 A dancer from the Dragoes da Real samba school performs during a Carnival parade in Sao Paulo, Brazil. 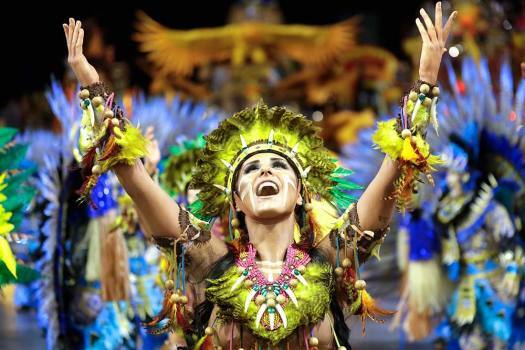 A dancer from the Aguia de Ouro samba school performs during a Carnival parade in Sao Paulo, Brazil. 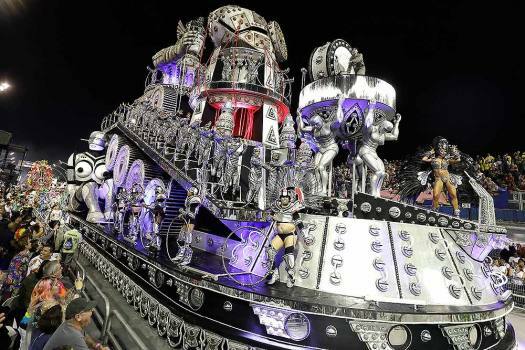 It’s performance art for the fandoms. 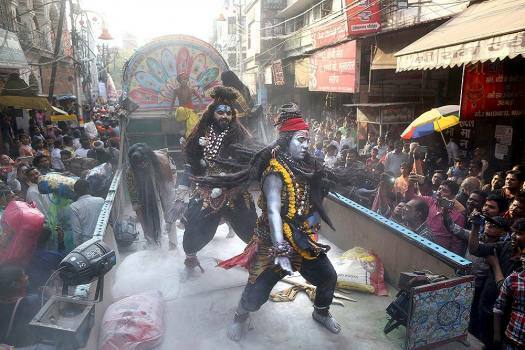 Cosplay—dressing up as fictional characters for events, for money, or just for fun—has arrived in India. On Sunday, Deepika and Ranveer Singh announced they are tying the knot on November 14-15. The wedding destination is reportedly Lake Como, Itlay. The men of the community have also given go-ahead to the decision. 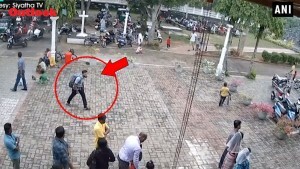 A memorandum issued by Tripura government advising its officials to avoid wearing jeans, denim wear, and sunglasses during official duty has come in for severe criticism from Opposition parties. The apex court observed that the "dress worn by officials in courts is nothing but a symbolic of certain things". The commissionerate college education sent out a circular to all 219 government colleges, asking them to decide the colour of the dress for boys and girls and submit it by March 12. "My observation came from the fact that I often meet those who say it with a hint of pride on how they don't know how to wear a sari and I find it very dismissive of our heritage." "I think, if you tell me that you do not know how to wear a saree, I would say shame on you. 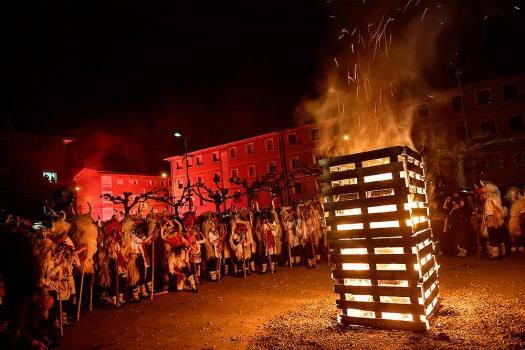 It's a part of your culture, (you) need stand up for it." 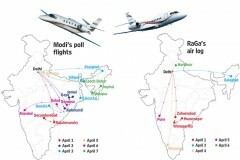 Will Patanjali Take The Pants Off MNCs With His Swadeshi Clothing Line-Up?